Nominated for Drone Video of the Week, Kellyneedleman takes us up and down the length of what he says is "a country full of love, life and art." Italy, known for its food, wine, historic significance, fashion and architecture, is shown through both an aerial lens and fast moving ground camera work. 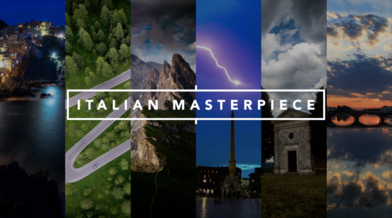 Strap yourself in for this epic aerial journey that will take you around this magnificent country, from the Dolomite Mountains to Florence, Venice to Rome, and Cinque Terre to Tuscany. Description: Through the dramatic Italian mountains to the unique cities, Italy is a country full of life, love, and art. This is a compilation of my entire time spent in Italy. It showcases these locations: The Dolomites, Venice, Rome, Cinque Terre, Florence, and Tuscany.